Now there’s a better way to achieve compressed air. With Touch-Free™ Air, you won’t have to touch a thing. Not your compressor. Not your production schedule. Not even your working capital. 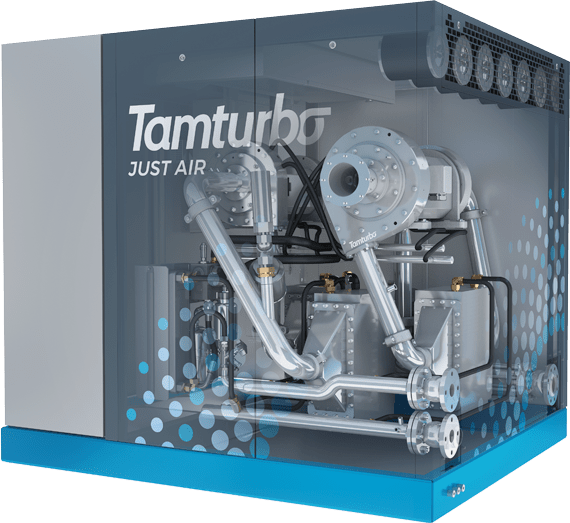 Because at Tamturbo, it’s no longer about the air compressor, it’s all about the air. Touch-Free™ Air literally means you only pay for providing the air you use. Not the air compressor, the maintenance or the worries that go with it. We’ll set up the right system for your facility, and you won’t have to touch it. You only get what you want: an uninterrupted supply of 100% oil-free air, at the lowest cost per unit.